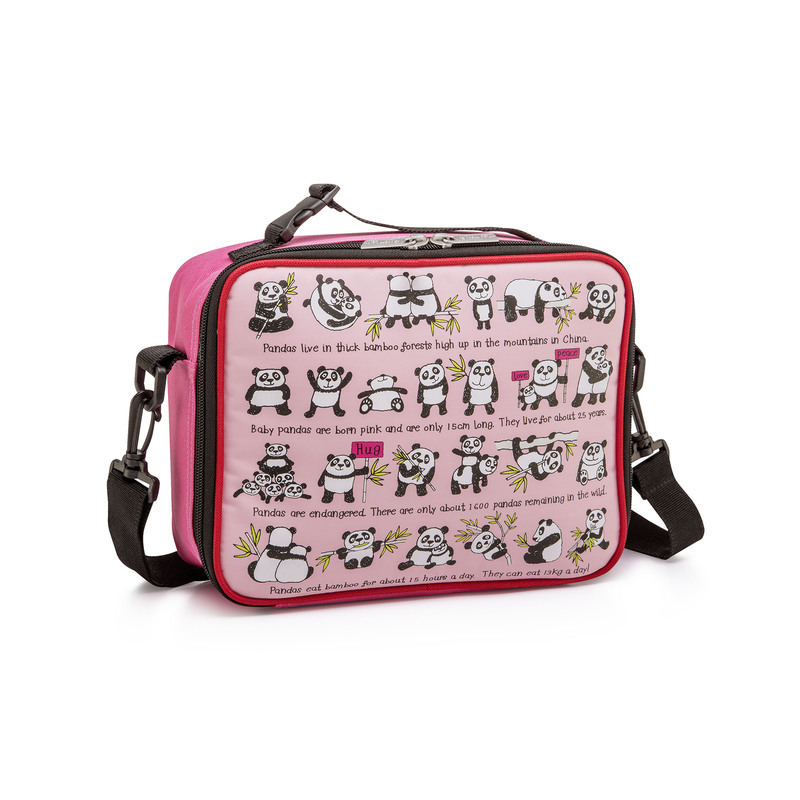 This lovely panda lunch bag is ideal for school lunches or days out. Insulated to make the lunch bag more durable, this lunch bag has an interior mesh to store an ice pack for keeping things extra cool. Along with a Velcro strap inside to keep a water bottle secure. The lunch bag has adjustable straps and a top handle which makes it easier to carry.